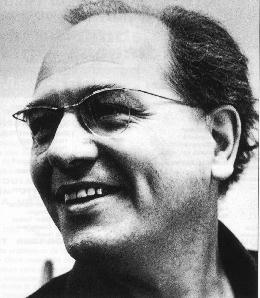 One of the most unique and uncompromising composers of the modern era, Olivier Messiaen introduced many stylistic innovations into the stagnating classical idiom throughout the course of his career. Very early in his life he began to develop an interest in music, composing and performing on the piano and investigating the scores of various operas. At the age of eleven he enrolled at the Paris Conservatoire, where he would spend a substantial portion of his life -- attending as a student from 1919 to 1930 and returning as an instructor between 1941 and 1978. By 1929 -- the year of his first published work, Eight Preludes for Piano -- he had already developed his own modal system, which he would outline more fully over the next six years. In 1931, after completing his studies, Messiaen assumed the role of Titular Organist at L'Église de la Trinité in Paris, a position he would maintain for the rest of his life. Utilizing the exceptionally wide range of textures available from the organ at La Trinité, he developed a (not entirely favorable) reputation for his adventurous improvisations on the instrument, as well as composing a number of organ cycles over the years. Although a deeply religious person himself, Messiaen's peculiar approach did not endear him to Catholic authorities, who would frequently direct scathing public criticism against him for what they considered to be 'vulgar' music. Throughout the 1930s Messiaen continued to develop his methodology of "modes of limited transposition" and "non-retrogradable rhythms", both in his compositions and through published theoretical works. With a few other like-minded composers he founded the Jeune France collective in 1936, issuing a manifesto and organizing concerts until the outbreak of World War II, when circumstances compelled the group to disband. As were many of his generation, Messiaen was drafted into service during the mobilization of France; following the Nazi invasion, he would end up spending all of 1941 in a prisoner of war camp in Sileisia. It was during his time in the camp that he would compose one of his best-known works, Quatuor pour la fin du temps (Quartet for the End of Time). Upon his release, he began his long tenure as a professor at the Paris Conservatoire. Free from many of the musical prejudices of the time, Messiaen became popular among students but was never particularly well-liked by the fuddy-duddy establishment. Among the future notable names that benefited from his tutelage were composers Pierre Boulez, Iannis Xenakis and Karlheinz Stockhausen -- although many of these would later develop their own inflexible prejudices and heap bile upon their former teacher. An exception to this -- the remarkable pianist Yvonne Loriod -- would return Messiaen's encouragement with a long-standing support of her mentor's music; most of the works he would compose throughout the remainder of the 1940s contained parts written especially for her. In the 1950s Messiaen turned to even more abstracted apporaches to compositon, exploring the approaches of twelve-tone and serial music (his Mode de Valeurs et d'intensities was the first piece to fully utilize the serial method). This proved a short-lived detour, however, and his subsequent work would be dominated by the two predominant interests in his life: his religious beliefs and his love of the natural world. An enthusiatic ornithologist, he spent an enormous amount of time translating the songs of birds into musical notation; most of his compositional output for the remainder of his life would draw upon these transcriptions.